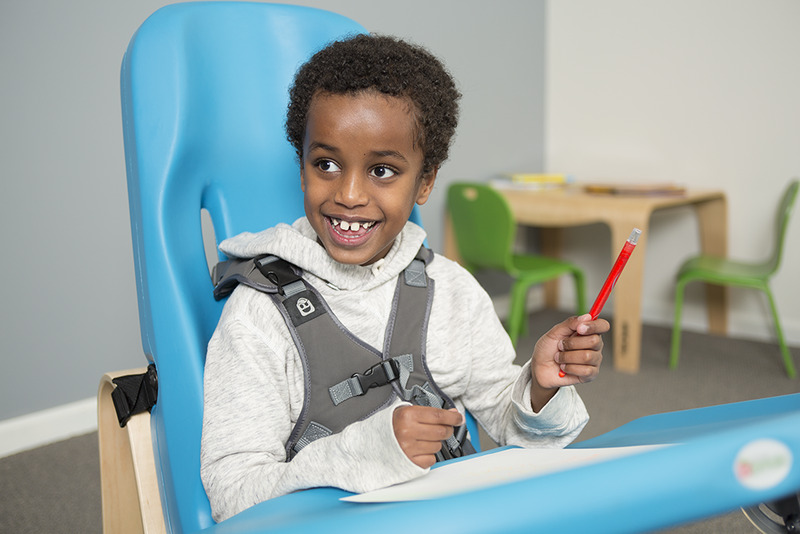 The Size 4 Soft- Touch Sitter with Mobile Base from Special Tomato is adaptive Seating at its best specially developed for children aged 9-13 years old! The Special Tomato Soft-Touch Sitter with Mobile Base is now available in chocolate! 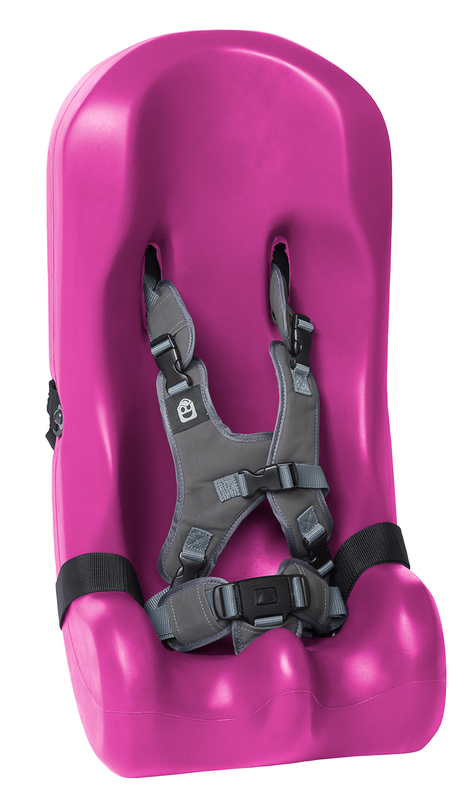 The rich chocolate color of the seat is offset by a lilac or tan harness to add a punch of color to the wonderful seat. 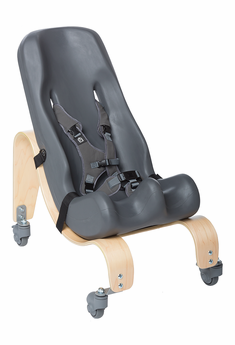 The Sitter with Mobile Base offers children with mild to moderate physical involvement a mobile seating option. The Special Tomato Soft-Touch Sitter is combined with a wooden base made mobile with casters. 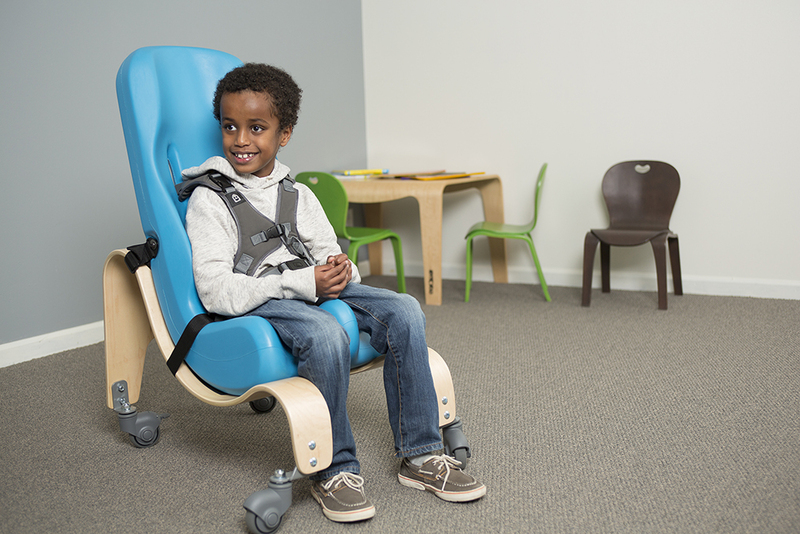 Four casters are included, allowing your child to move from one area to another with ease and without compromising their posture and position. 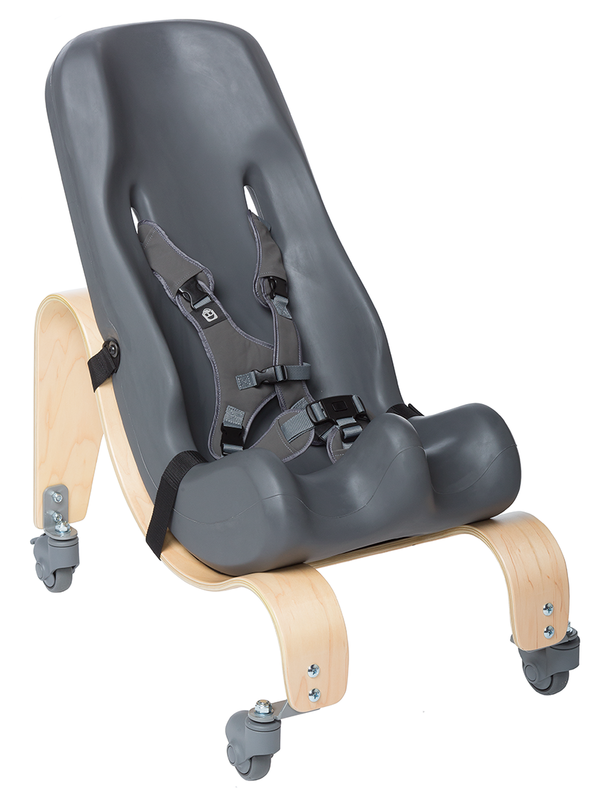 Why is the Special Tomato Soft-Touch® Sitter with Mobile Base Perfect for Your Child? NOTE: Please install the two locking casters on the back of the sitter base as shown in the manual. Do NOT put them on the front as this picture below shows. Color & Design Equipment looks less �therapeutic� and complements one�s home d�cor. Material Soft, Skin-Like, & Durable Firm & Plastic-Like Special Tomato Sitters are peel and tear resistant and do not crack. Warranty 5 YEARS 3 Years Directly related to the manufacturer�s level of confidence in the durability of the product; the longer warranty the better! Seat Surface ALL 5 SIZES Small & Medium Sizes ONLY Helps keep the hips positioned back in the seat and often improves sitting posture. & Trunk Support Contoured Planar Special Tomato's Contoured head support supports the natural curvature of the trunk and spine. Abductor Promotes leg separation and neutral hip alignment. Offering Tilt Special Tomato Sitters allow tilt positioning up to 25 degrees, thus minimizing the effects of gravity on head and trunk control. Mobile Base ALL 5 SIZES Medium, Large & X-Large Sizes ONLY Facilitates mobility of the lower extremities and makes transporting the system easier. Tilt Base Attach to standard chairs at a restaurant, school, relative�s house, etc. The Special Tomato Mobile Activity Tray provides adjustability, maneuverability and versatility for many situations. The Mobile Activity Tray is available in two sizes: Short (table height adjusts from 16 to 21 inches) and Tall (table height adjusts from 20 to 28 inches). The tool-free adjustable height range allows for growth as your child grows into new equipment. 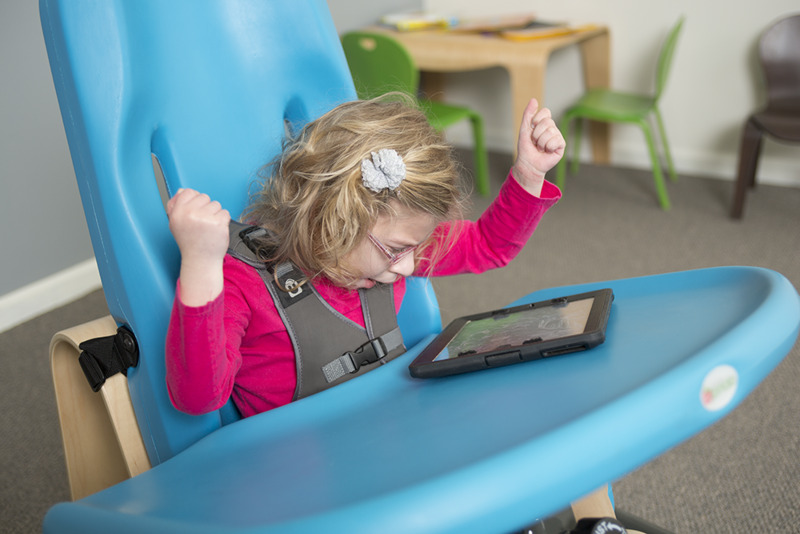 It also allows the Mobile Activity Tray to be used with different pieces of equipment: Special Tomato Soft-Touch Sitters, wheelchairs and walkers to name a few. With a base width opening of 28 inches, the Mobile Activity Tray can accommodate most pieces of equipment. The Mobile Activity Tray surface has angle adjustability that is also tool-free. The tray surface can be infinitely placed anywhere between 0 and 80 degrees. 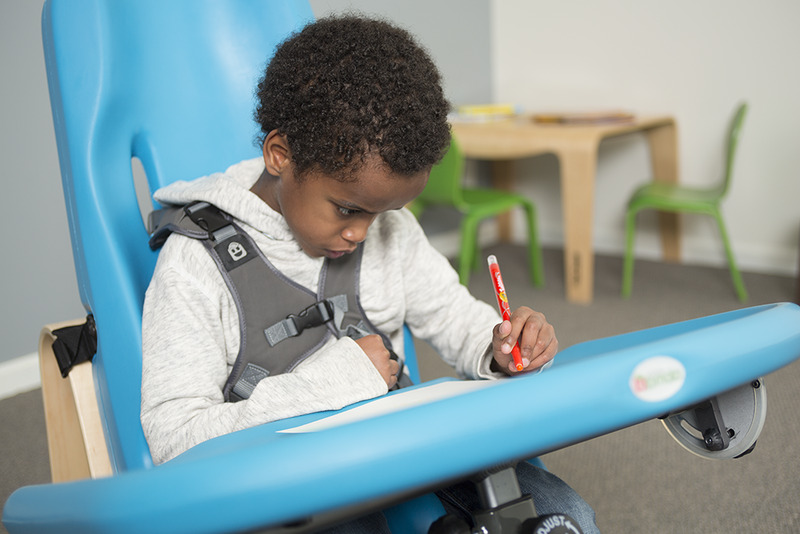 Keep the Mobile Activity Tray flat for mealtime, tilt it slightly to work on fine motor tasks like writing or tablet work, or tilt it more for working on visual tracking or reading. 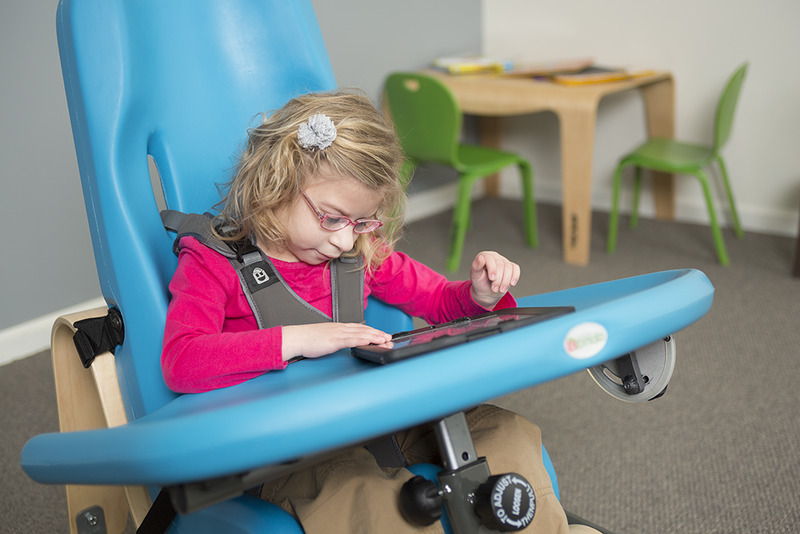 The Mobile Activity Tray is easy to move around a room and from room to room. The 3-inch front swivel casters making turning easy and have locks to keep the Mobile Activity Tray in place. The 4-inch rear casters are inline to keep the tray stable once the front swivel casters are locked. Perfect Together! 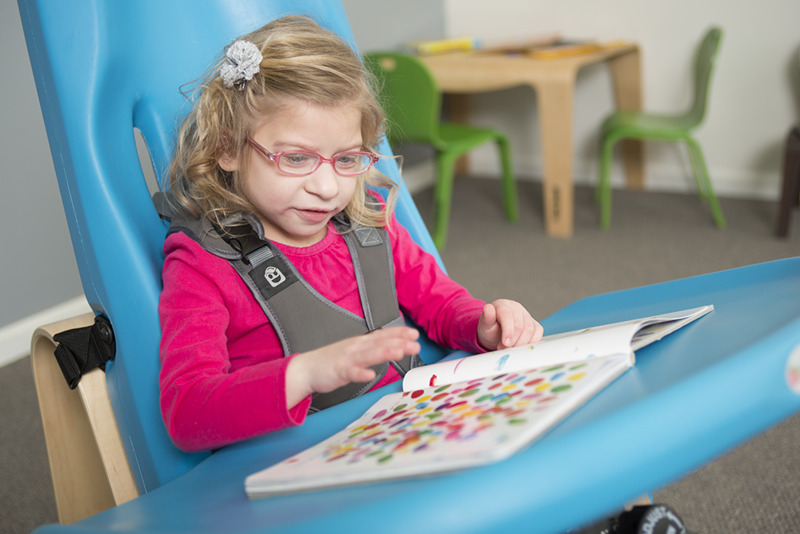 The Short Mobile Activity Tray fits Size 1, 2 and 3 Soft-Touch Sitters, while the Tall Mobile Activity Tray fits Size 4 and 5 Soft-Touch Sitters!